This apartment is in the Beach Haven neighborhood in Jacksonville. Club at Danforth has a Walk Score of 21 out of 100. This location is a Car-Dependent neighborhood so almost all errands require a car. 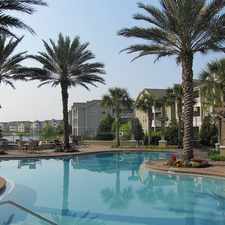 The premier apartment home community of the inter-coastal area of Jacksonville. This is the ultimate place to live with stay-fit amenities and community events that keep you connected. Our community is just minutes from everything you need but miles from ordinary. Located in the convenient and sought after inter-coastal area of Jacksonville, We are just 5 miles from the beaches, just minutes to the St. John's Town Center, only 4 miles from the Mayo Clinic, plenty of restaurants and great shopping. Jacksonville living at its finest. Lease details: 2.5x rent 3 most recent pay stubs, offer letter. Credit and background checks. No felonies, evictions or landlord debt accepted. Misdemeanors after 5 years depending on situation.App fees are per person. Deposit may vary with credit/rental history. Guarantors accepted for full time students only. Guarantor must meet all qualifying criteria and make 6x rental rate. Explore how far you can travel by car, bus, bike and foot from Club at Danforth. Club at Danforth has some transit which means a few nearby public transportation options. View all Beach Haven apartments on a map. Jacksonville Beach Bungalow Three Bedroom house! Club at Danforth is in the Beach Haven neighborhood. Beach Haven is the 87th most walkable neighborhood in Jacksonville with a neighborhood Walk Score of 30.